Ministry of Propaganda - 28/Jan/2005: "Still Here"
Just so that you don't think I've disappeared a sign of life on this blog. I'm slowly making progress with the Scotland Winter 2005 travelogue, just completed the page for the walk along Loch Katrine. 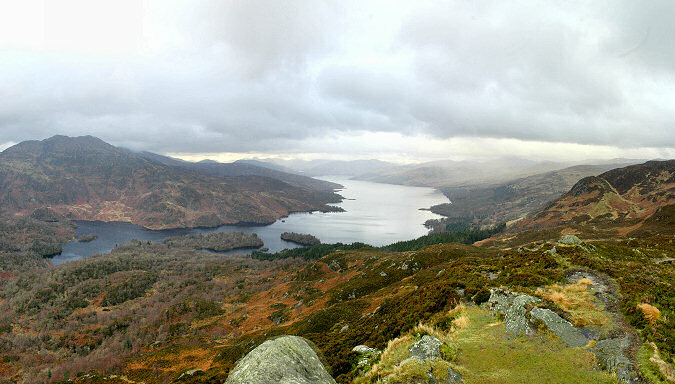 At the moment I'm working on the pictures from the walk to the summit of Ben A'an. Unfortunately I had a speck of dust on the sensor that day which I didn't notice until I was back at my car, meaning I now have to clean up quite a few pictures if I want to use them. I better get back to it, otherwise I'll never make any progress. Hopefully more tomorrow, possibly a rant about Economy 7 heating. If it's warm enough to write another entry.